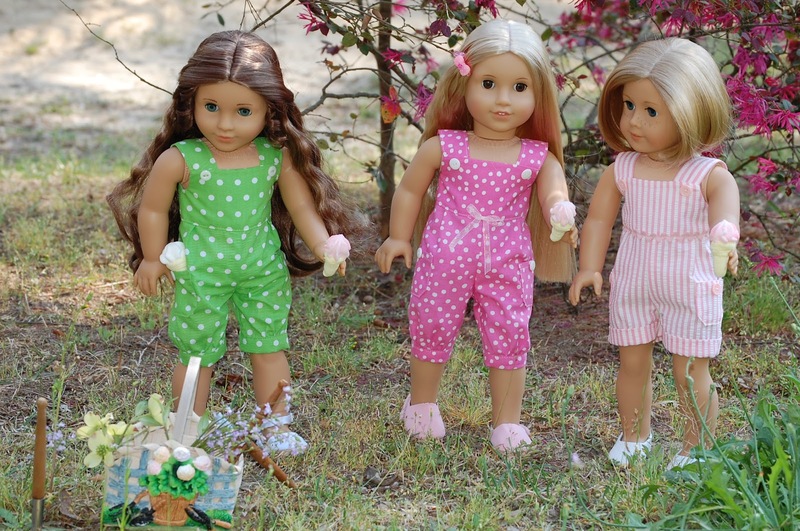 Dolls World: Overalls for Girls. 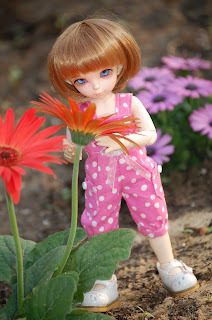 Hello from Spain: Your new doll Carol is lovely. I love her curls in her hair. The scene is perfect shower. In today's clothing is all very nice. Some pictures are very spring. I love all your collection of dolls. Keep in touch. Beautiful clothing. Is that Nikola in the pictures? And do you sell your doll clothing? You should design and sell it on Etsy! Lucie et Juliette -Thank you . In the photo it is actually Tinka. 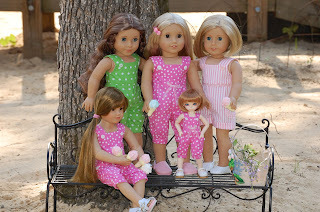 Yes, I sell American doll clothes at a local flea market. I don't bother putting the on Ebay as they are flooded with them. I have not looked into Etsy. 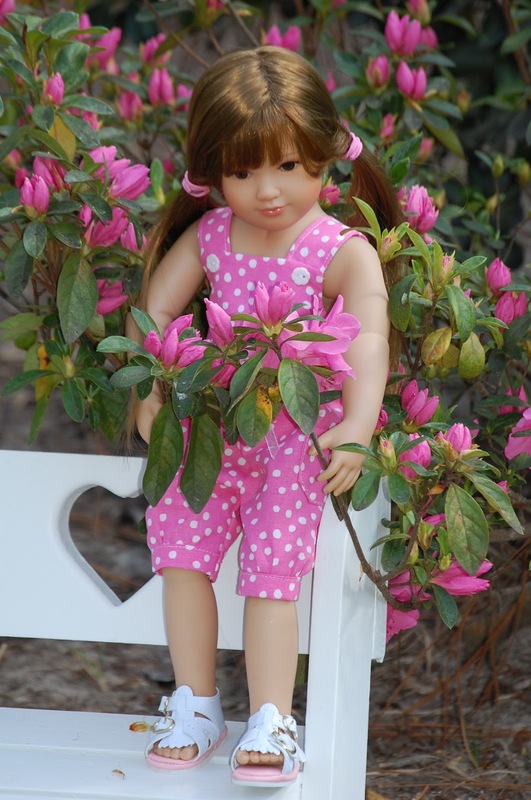 I made this blog so that I can share my dolls and the clothes I make with those who buy from me and all doll lovers like myself.Again, thank you so much for your kind compliments. Welcome home - Christmas Carols.